Northumberland is rapidly becoming one of the most popular areas in the UK for tourists from home and abroad thanks to its rugged beauty and many wonderful attractions. 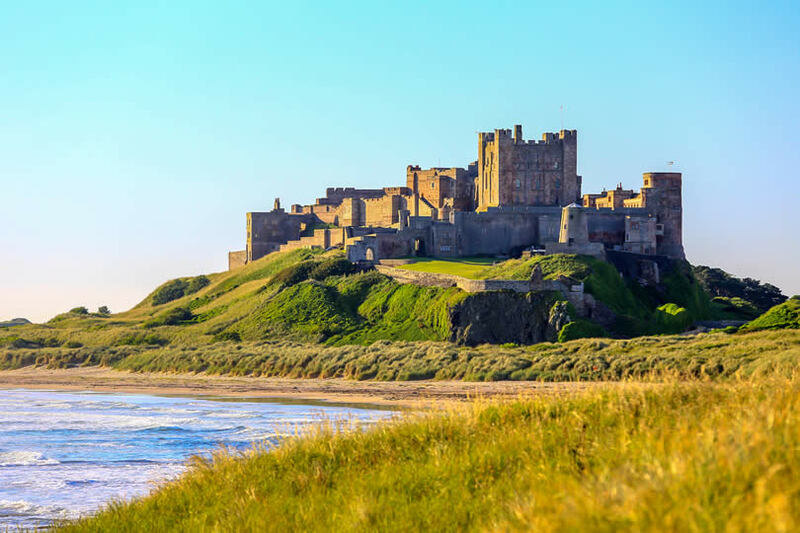 Combining the best of everything, from glorious beaches to wild countryside and from modern towns to ancient castles, there is something for everyone to enjoy on a holiday in Northumberland. Whether you are planning on staying for a weekend or for a longer trip, this travel guide gives you ten great reasons to visit England’s most northerly county. Whether you are visiting in the summer or winter, Northumberland’s gorgeous beaches are perfect for a free day out in the fresh air. From the rolling dunes of Bamburgh at the foot of the impressive castle to the picturesque cove at Newton by the Sea, the county’s 30 miles of coastline offer a wealth of exploration opportunities for young and old alike. Northumberland is home to some of the most famous castles in the country that have been used as sets for countless films and TV programmes. 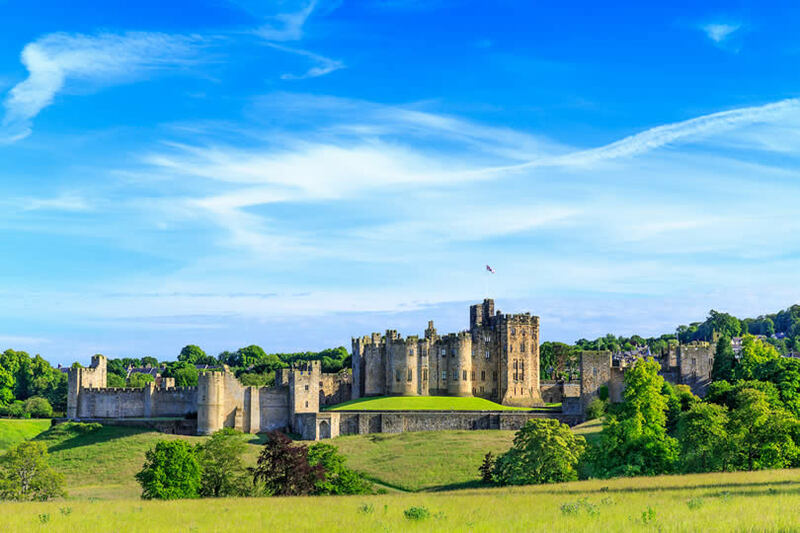 Probably the most famous of them all is Alnwick Castle which featured in the Harry Potter movies, and which is the seat of the Dukes of Northumberland. 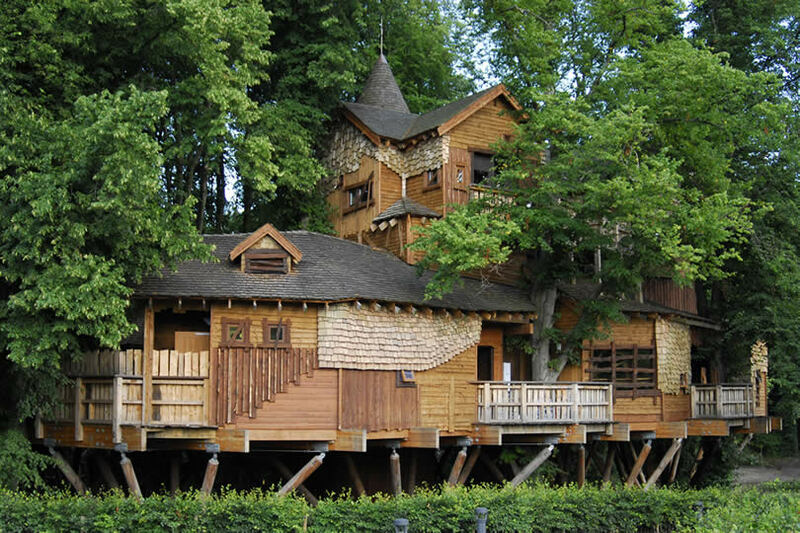 This fantastic attraction is fun for all the family with broomstick flying lessons and the Knight’s Quest for the kids to enjoy. The haunting ruins of Warkworth Castle dominate the picturesque village below, while the beautiful and remote Bamburgh Castle enjoys panoramic views over the coast. 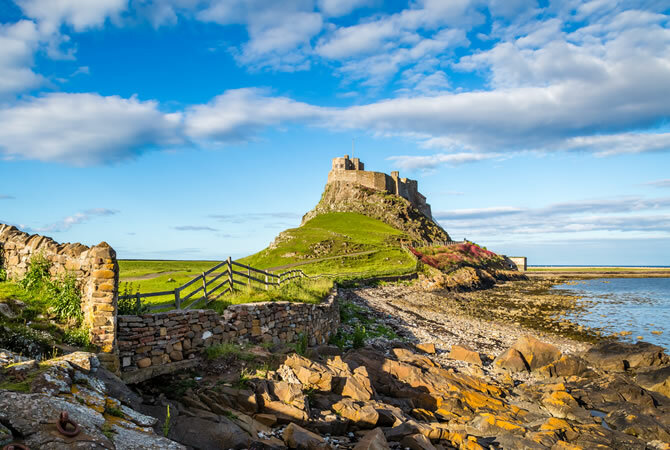 Lindisfarne, or Holy Island as it is better known, is a wonderful place to visit. Boasting a remote location in the north of the county, this tidal island, which was once home to St Oswald, can only be reached by causeway at certain times of the day. During your visit you can see the castle and the priory which was the birthplace of the world famous Lindisfarne Gospels. Walk in the footsteps of the pilgrims along the St Cuthbert’s Way or see if you can spot a grey seal sunning itself on the sands. 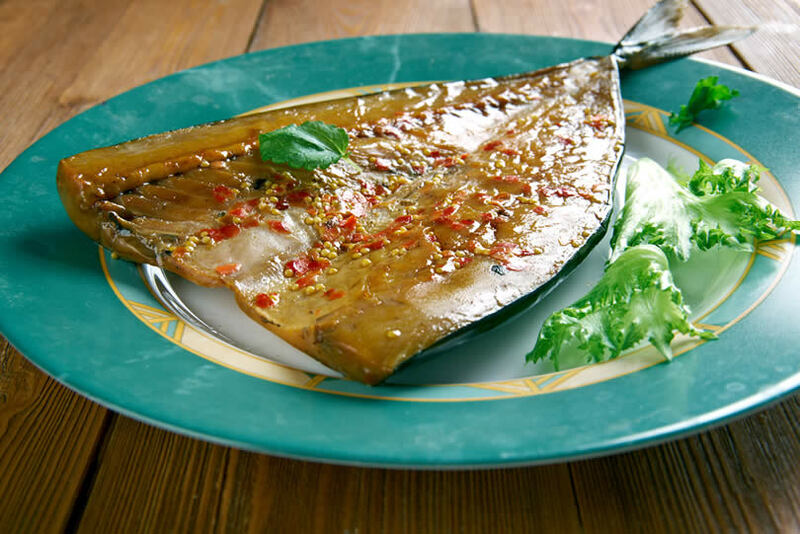 The village of Craster is well known for its traditional wood smoked kippers, and while you are staying in Northumberland you must pay a visit to L.Robson and Sons smokehouse. Dine on these famous herring in the Craster Restaurant or buy some in the shop to take home for your tea. Northumberland’s rugged landscape is the ideal place to try your hand at a wide range of sporting activities. The coastline lends itself perfectly to hiking or mountain biking, while Kielder Water and Forest Park is the ideal spot to go sailing or waterskiing. 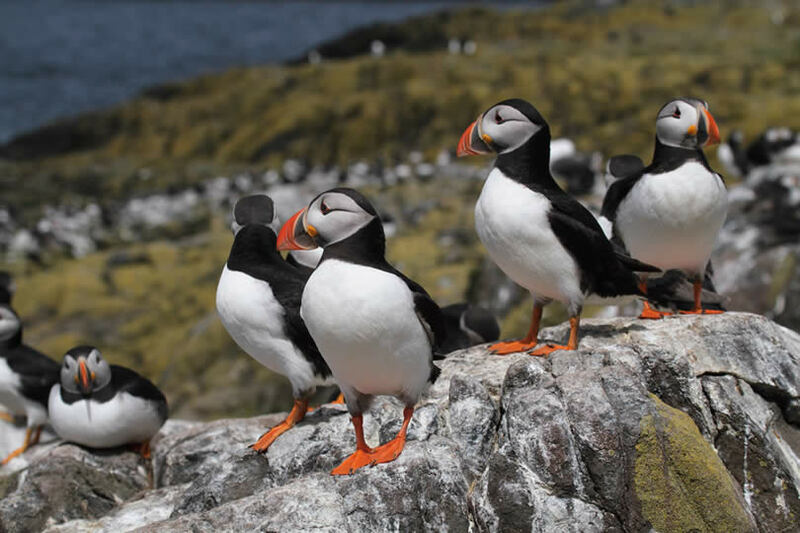 Divers will love a trip to the Farne Islands where they can take to the waves with the seals, while the long expanses of sand at beaches like Bamburgh make kite surfing a pleasure. The county is home to several stunning gardens where budding horticulturalists are sure to find inspiration for their plots at home. Alnwick Garden is a wonderful day out for all the family thanks to its impressive fountains and water features, and its fascinating Poison Garden. The extensive grounds at Howick Hall Gardens has been ranked among the top 5 coastal gardens in the country and offers stunning flowers all season long, while the National Trust property, Cragside, boasts enormous grounds with stunning rhododendrons. Northumberland has a rich and long history to discover. 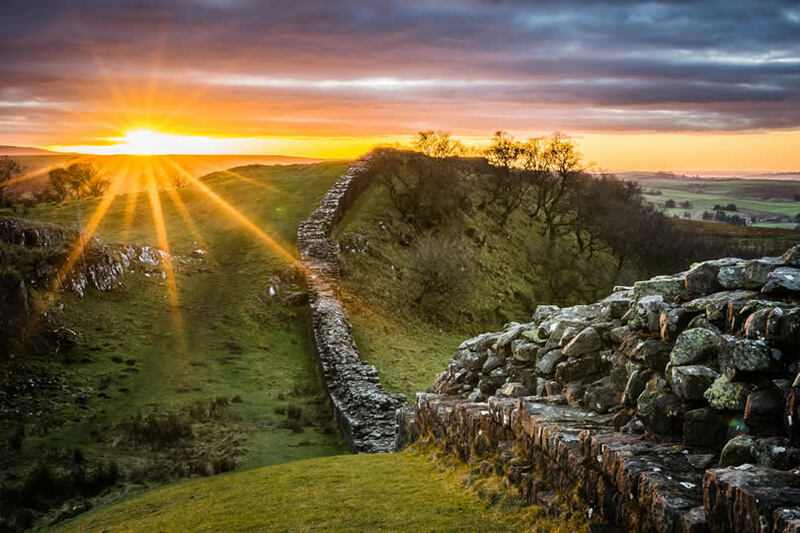 The Romans left their mark here, and you can spend a day exploring Hadrian’s Wall and the forts at Vindolanda and Chesters. Drop into the Grace Darling Museum in Bamburgh and discover the story behind the wreck of the SS Forfarshire, or visit the Mary Queen of Scots’ Visitors Centre in Jedburgh and see objects associated with this famous historical figure. Much of the north east’s history and heritage centres around mining, so when you are in the area you should take the time to find out more about life underground. The Woodhorn Mining Museum is a cheap day out for families on a budget, since entry to the museum itself is free with only a small charge for parking. Visit a traditional winding house, the workshop galleries and see artefacts from life in the county’s pit villages over the generations. Chillingham Castle is famous for its many ghosts and hosts special ghost tours throughout the year. Brave holidaymakers can stay overnight in one of the castle’s haunted bedrooms or enjoy a meal and take a guided tour in the dark around the spooky grounds! 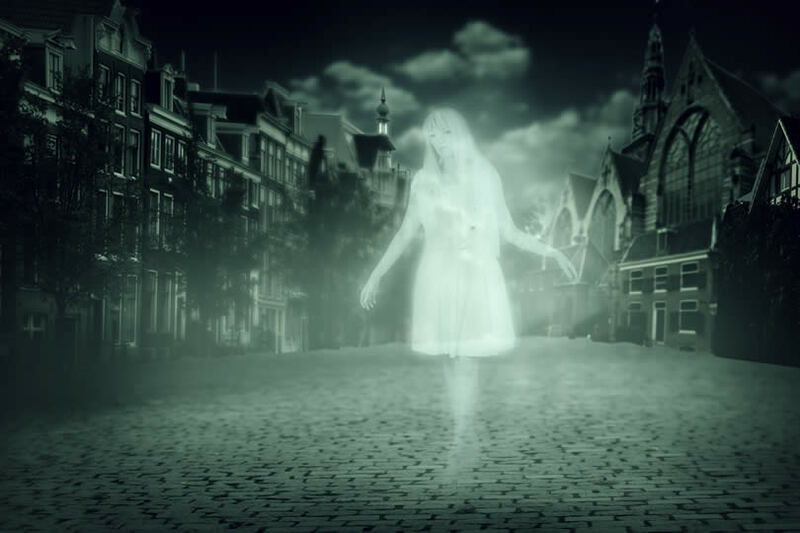 Alternatively, visit some of the other well known haunted spots in the county – Dunstanburgh Castle, in its remote location, is well known for its white lady who walks the ruins, or the Schooner Hotel in Alnmouth which is said to be home to a collection of poltergeists! Kielder Forest is the 3rd biggest dark sky reserve in the world and is home to the Kielder Observatory where you can try your hand at star gazing and learn more about the wonders of our skies. This remarkable destination hosts events throughout the year for all the family, from child-friendly Family Astronomy sessions to Night Sky Safaris under cover of darkness. A visit here is sure to be an unforgettable part of your break in Northumberland.